Coming out of amnesia suffered during the Civil War, she recognized who her lover, Matt Jorgensen, was but had no idea how to find him. After having established a new life for herself with a new family, she discovers from her grandmother that she has a supernatural gift and is compelled to leave her comfortable lifestyle to search for Matt. The couple finds each other in the mountainous area of his childhood in Montana, but twenty years have changed their appearances. Although Bether finds him and knows who he is, Matt doesn't know who she is and falls in love with her because she reminds him of his lost Ginny. The conflict is that he has vowed never to love again. When the truth is revealed, other battles threaten to destroy their relationship. Feeling free at last, they travel to the Bar M Ranch in Texas, where his one affair during the Civil War turns up as a widow and seeks to separate him from his love for Ginny. A wedding is planned but is threatened by evil forces that try to take Matt's life. Matt eventually finds that he and Ginny are inseparable in life due to a spiritual experience they share with one another. 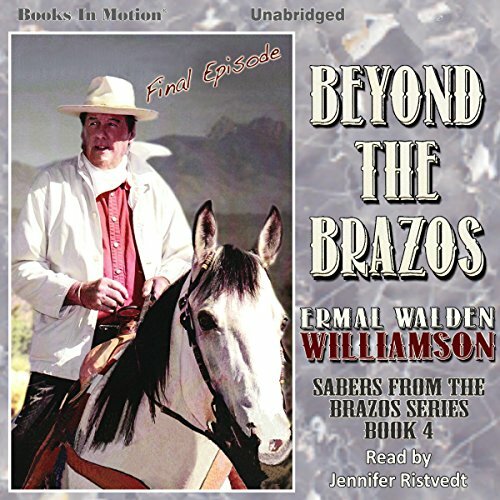 In this final episode in the Brazos series of seven novels, the author attempts to keep listeners on the edges of their seats to find out which way Matt's life will turn. An intriguing tale of love, hate, jealousy, lust, and revenge moves the listener to wonder what will happen in this final saga. The listener will ride the trail with Matt and Ginny in many adventures to find what lies beyond the Brazos.